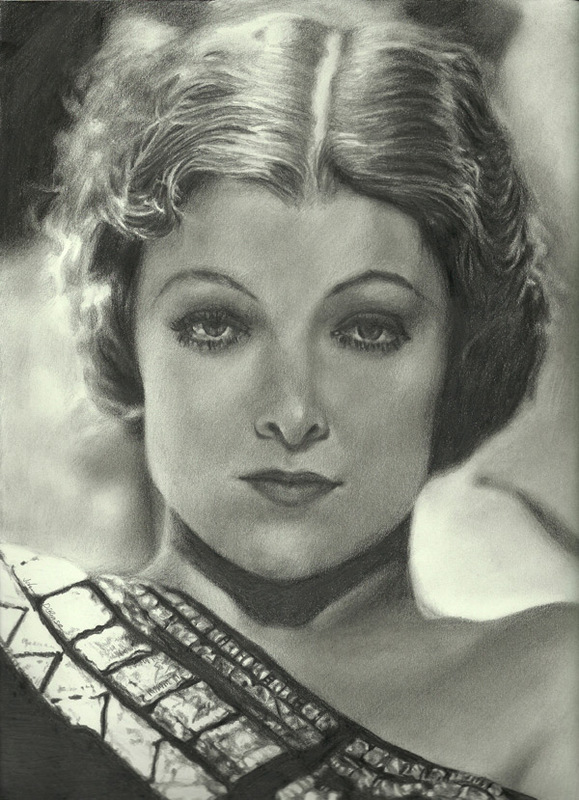 This drawing of classic actress Myrna Loy, was completed at the end of April/early May 2012 and presented a different challenge. The soft look in the photo was a different texture than I usually work with, and simply using an ordinary paper napkin as a blending tool ended up serving pretty well. It’s one of my favorites of the recent string of projects.